You may or may not have seen Energizer brand phones and smartphones before. These are mobiles with typically strong battery performance, manufactured by Avenir Telecom. A recent example is the modern 'Edge' style Power Max P600S which packs plenty of modern and attractive features alongside a 4,500mAh battery (said to provide standby of 16.5 days and talk time of 12 hours). 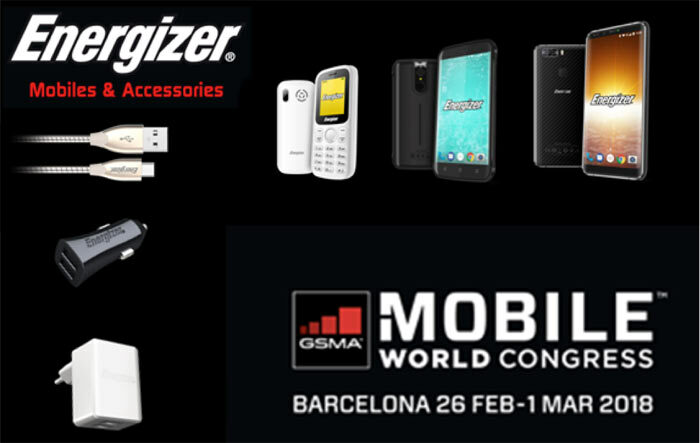 However, Energizer has created a new device which it will unveil at the MWC 2018 which goes all-in on battery life - boasting a 16,000mAh battery. 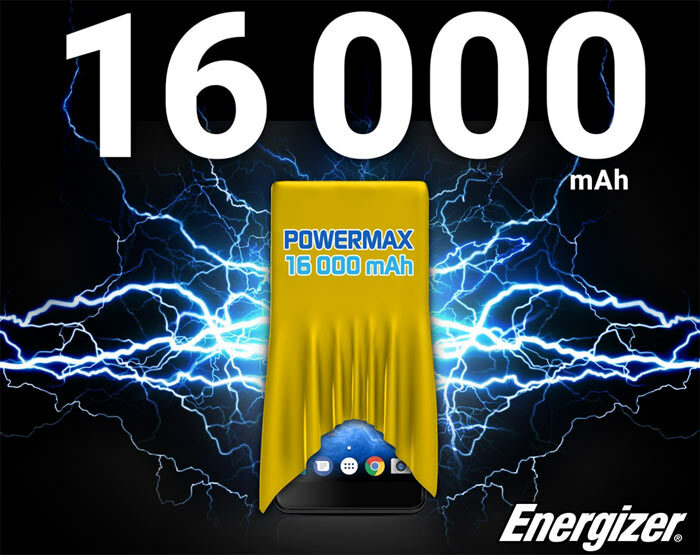 Today I got an email from Energizer / Avenir teasing the new Energizer Power Max P16K Pro. The message contained the above image, with just a brief description of a new "upscale smartphone" which packs an "unsurpassed 16,000mAh battery". It comes with the following other key features; a 5.99-inch 18:9 FHD screen, 6GB of RAM and 128GB storage. For those concerned about how 'fat' this smartphone might be, Energizer assures me that "while it contains the world's most impressive battery, this newly launched smartphone boasts an ultra slim design". Its previous 5.99-inch Power Max P600S design was 9.8mm thick with 'just' a 4,500mAh battery so your guess is as good as mine concerning how chunky the P16K Pro might be. That's all the info about the phone I received except for a teaser video link - which lead to a blank page. Unfortunately GSM Arena doesn't have the size and weight details either. It will be interesting to discover those missing details, plus the price and availability. Avenir / Energiser distribution partners include the expected and the unusual. For example its phone products are available through Amazon, Media Markt, fnac, The Phone House, and Vodafone. Other partners include; Aldi, Boots, and Woolworths. Energizer has sent me the teaser video now, but its not very informative. See below. Waits for Duracell Bunny series phone to be released. But about time companies focused on better battery life. Seems like a decent and powerful enough phone, it all just rests on price now! I've just come out of hospital so I may have got my maths wrong but to give you an idea of how silly this is from a purely safety perspective…. you're carrying this around in your pocket, right? Running at 3.7V with 16Ah gives me an energy capacity of 213,120 Joules. A common model of hand grenade carries equivilent of 60g of TNT which contains 267KJ. And we've all seen the occasionally catastrophic failure modes of lithium cells with only 3Ah. You don't need to have a faulty cell, you just need it to be pierced in a car accident. It's a HUGE amount of energy to be packing into a relatively poorly protected package with known catastrophic failure modes.